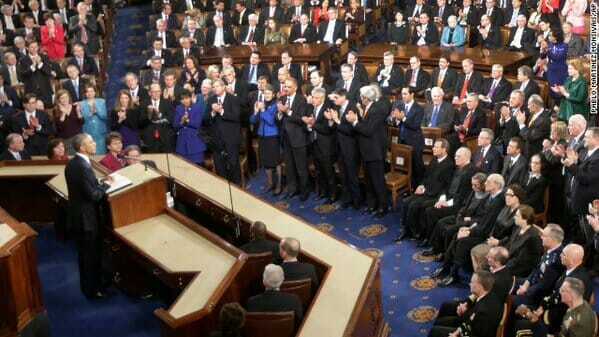 Rep. Steve King (R-IA) walked out on Barack Obama’s final State of the Union Address on Tuesday night. He took his oath of office twice on how to protect and preserve the Constitution of the United States and he’s done everything but even when he knew he was wrong. I can’t abide being lectured to one last time. This is my last chance to step out of there. And I’m going to go to the member’s chapel and pray for the restoration of the Constitution.